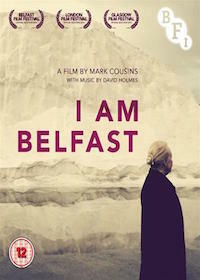 Belfast is not just a place, but also reimagined as a 10,000-year-old woman in a psycho-geographical journey that challenges our perceptions about this complex city. Cousins – born in the city himself – challenges us to see beauty in the unexpected as we follow the motherly Belfast, who surveys the history, streets and people with compassion but not judgement. This uplifting and thought-provoking study is set to a beautiful score by another Belfast native, David Holmes. Starts at 2:30PM and 7:30PM (The 2:30pm screening is subtitled for people with a hearing loss).